This astonishingly and highly unusual email I received from electronic music DJ and composer Moby that breaks almost every rule about social media marketing… or it creates some new rules. I realize we’re making this up as we go along, but blogging at 3AM and deliriously composing a meandering message with poor grammar, no sentence structure, in a self-deprecating way can’t be good marketing. 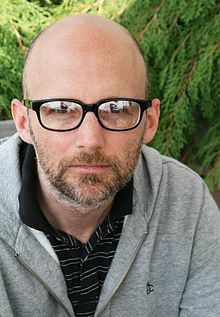 … or to Moby fans it’s just the kind of one-on-one conversation they’re craving. The entire email message I received is below, and here is the link to the moby.com site. hi.so, for the last 18 months i’ve been working on my next album. and now it’s done and i can write this update and tell you all (or at least what i can remember at 3 a.m sitting in front of my computer) of the relevant details. 1-the album is called innocents. just to be clear (and possibly kind of pedantic), ‘innocents’ the plural noun. as in ‘a gathering of innocents’. or ‘a bunch of innocents’. or whatever the nomenclature is for innocents. 2a-mark ‘spike’ stent helped me to produce innocents. you might know ‘spike’ from the work he’s done with muse and bjork and massive attack, among others. he’s amazing. 2b-there are a lot of guest vocalists and collaborators on the record. like: wayne coyne from the flaming lips, mark lanegan from screaming trees and queens of the stone age, damien jurado, skyler grey, inyang bassey, and cold specks. among others. they’re all amazing, too. 3-the record comes out in october. but, as it’s 3a.m, i don’t know when, exactly, in october. let’s say october 1st. but that might not be the right date, as it’s 3 a.m and i’m honestly just guessing. 4-the whole, entire tour for the album will consist of 3 shows in los angeles. maybe at some point in my adult life i’ll do more elaborate touring, but for now i just want to play 3 shows near my house. so, to be clear: the whole entire innocents tour will be 3 shows. near my house. ideally within walking distance of/from my house. more details and information will follow via email. 4a-the 3 live shows (aka-the entire tour) will be a mix of new songs and old songs. including lots of songs from my past that, hopefully, you want to hear. it would be weird to only play new songs, even though i really like the new songs. and, to be honest, i get kind of annoyed when i go to other people’s concerts and they only play songs from the new record. i love my new record, but i fully understand that you probably want to hear some older songs, too. 5-i have shot all of the photographs for the artwork for innocents and the singles. i’m not saying i’m a great photographer, but i’ve been a photographer since i was 10 years old (when my uncle gave me a nikon F), and i really like taking pictures. so, thus, i decided to take the pictures for the new album artwork. 6-the first track that we’re releasing from innocents is a case for shame. oh, wait, that’s not right. we released the lonely night with mark lanegan a couple of months ago. so i guess technically THAT was the first track. how about this: the first official ‘single’ from innocents is a case for shame. a case for shame is a song i wrote with cold specks. she’s an amazing singer/musician from ethiopia and canada. i hope you like it. the link to hear it is here. and you can even get it now when you pre-order innocents on itunes here (tomorrow in the usa), if you’re so inclined. 7-because i have a lot of free time right now i’ve made a spotify ‘album inspiration playlist’. if you’d like to listen to it you can hear it here. 8-is this the end of the album announcement list? it might be. thank you for reading, and i really hope that you like innocents. Next PostNext Adobe Premiere CC: Discreet Edit Reborn?